The Hikvision DS-2PT3326IZ-DE3 is four cameras in one, which includes 3x fixed 2.0mm lenses that capture panoramic views in three directions (each lens covering 128.5°) and then 1x central PTZ with 2.8-12mm lens for capturing more zoomed in views for greater detail. 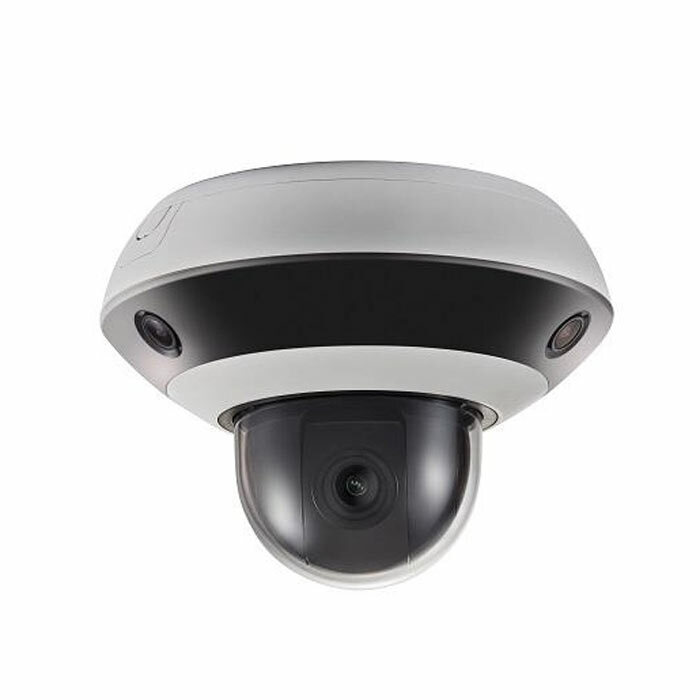 A great camera if you need to cover an entire room / area and can replace up to 4 normal IP cameras, whilst still having the option of zooming in for even more detail. On top of this multi-views the DS-2PT3326IZ-DE3 also supports Micro SD card recording, so you can not only record on to your Hikvision NVR but you can have a second short term recording taking place on the camera itself. Perfect for high risk areas or as back up in case the NVR is compromised. 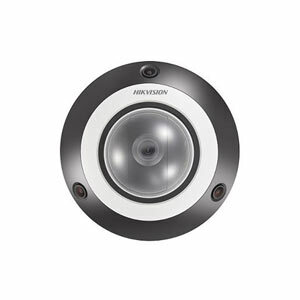 Be aware each lens takes up 1ch on your NVR - so you need 4 channels to utilise this camera, all this through 1x Cat5 cable! It also supports PoE+ so you can power it using a suitable PoE+ device via the same Cat5 cable.